A 5-year-old girl was suspended from school earlier this week after she made what the school called a "terrorist threat." The kindergartner, who attends Mount Carmel Area Elementary School in Pennsylvania, caught administrators' attention after suggesting she and a classmate should shoot each other with bubbles. "I think people know how harmless a bubble is. It doesn't hurt," said Robin Ficker, an attorney for the girl's family. 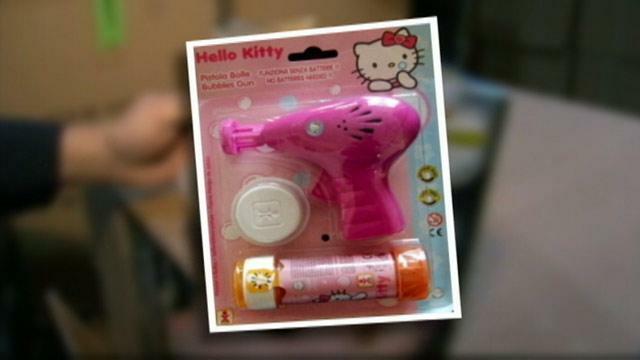 According to Ficker, the girl, whose identity has not been released, didn't even have the bubble gun toy with her at school. The girl's family is considering a lawsuit against the school to get the blemish - all because of bubbles - off their daughter's record. "The mother has tried to get the girl in another school since this time, and they won't take the little girl because of this mark on her record," Ficker said. The suspension comes one month after the Sandy Hook Elementary School massacre, which has created a heightened sense of alert at schools across the country. The Mount Carmel Area School District told ABC News, "We are confident that much of the information supplied to the media may not be consistent with the facts… The Mount Carmel Area School District takes the well-being and safety of students and staff very seriously." ABC News' Gio Benitez contributed to this report.